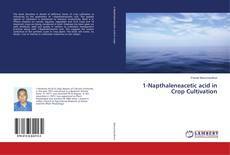 The book describes in details of different facets of crop cultivation as influenced by the application of 1-Naptheleneacetic acid. The applied aspects of cultivation is mentioned to enhance productivity. Book is in fifteen chapters on cereals, legumes, vegetables and fruit crops and 14 important crops are being considered in brief. Emphasis has been given on yield attributes, yield and quality in relation to cultivation management practices along with 1-Napthaleneacetic acid. This suggests the unique usefulness of the synthetic auxin in crop plants. The book will create, no doubt, a lot of interest to undertake researches on the subject.